In Part 1, I talked about Smith & Wesson of the 1800's. Smith & Wesson first designed a double-action revolver in 1872 as a variation of their very successful Model 3 that they offered to the Russian government. Back in those days, a double-action revolver was called a "self-cocker." 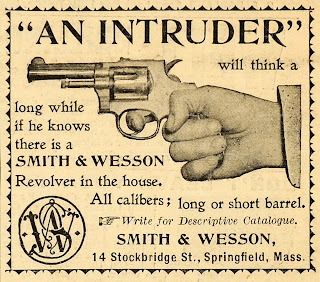 Their commercial introduction of a S&W double-action did not come until 1880 with a series of small-frame, 18-ounce, five-shot top-break .38 S&W and .32 S&W revolvers. These exposed-hammer, top-break, pocket-size, double-action revolvers were a scaled down version of their large Model 3. And yes, they were among the most popular guns Smith & Wesson ever built. Nearly a million total were sold before they were discontinued in 1919. 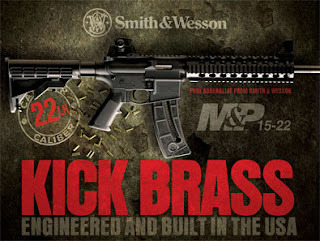 Over the years Smith & Wesson has been there to furnish the military, the police, and the private citizen with a wide assortment of choices in fine firearms. My favorite Smith & Wesson of the late 1800s happens to be the Smith & Wesson Model 10 Military & Police revolver. 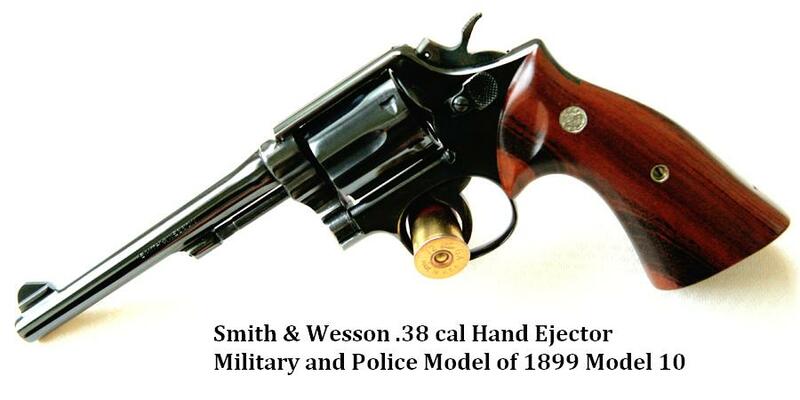 Its full name was Smith & Wesson .38 cal Hand Ejector Military and Police Model of 1899 Model 10. When first sold, this .38 caliber revolver shot a big 200 grain bullet which of course meant that it had plenty of stopping power. 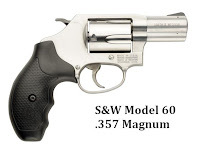 It was called the "Hand Ejector" because, unlike the famous S & W break opens, the Model 10 has a swing cylinder that enables the user dump the expended rounds with just one hand. When I was a young boy on my grandfather's ranch in Kunia, Hawaii, on Oahu. The Model 10 that I shot belonged to my grandfather. It was the first pistol that I'd ever shot, and yes, I instantly feel in love with it. It is not the most powerful or the most accurate revolver, but the greatness about the Model 10 is its simplicity and versitility. It is simple, basic, and extremely reliable - which of course are the three things I enjoy in old style firearms. It has a fixed-sight, takes six rounds, and has a fluted cylinder. It is no frills revolver that was designed to be drawn and fired quickly, not have sights that would snag or catch on clothing, and it can be carried for close-combat defense uses. As for plinking with it at cans like I did at my grandfather's ranch, well it was just a lot of fun to shoot. The Smith & Wesson Model 10 was first known as the Smith & Wesson Military & Police. Then later, it was known as the Smith & Wesson Victory Model. After that, it became simply known as the M&P Model 10, and finally just the Model 10. Smith & Wesson struck gold on this design. Today Smith & Wesson's Model 10 revolver is still being made. And yes folks, this revolver has the distinction of being the most successful revolver of all time. Friends, this pistol has been is production steadily since 1899 with very few changes. It has been available with barrel lengths of 2 inches, 2 and half inches, 3 inches, 4 inches, 5 inches, and 6 inches. I believe that the 5 and 6 inch barrel lengths were made for special contracts. If this pistol doesn't sound like the perfect pistol, well some 6 Million have been produced over the years, making it the most popular center-fire revolver of the 20th century. That, my friends, is a record not topped by any revolver on record. And yes, as a handgun it is only surpassed by the amount of semi-automatic 1911s produced. By 1914, with the success of the Model 10, even the British government wanted it. But yes, they wanted it in their standard .455 caliber. The Smith and Wesson Hand Ejector 2nd Model .455 Webley caliber revolver was created. 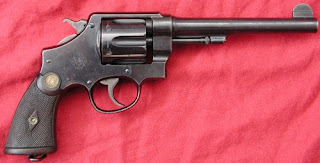 Colt's New Service double-action was already being used in Great Britain. The British liked the solid frame, double action design with a swing out cylinder. Colt's New Service model revolver was the company's large frame, heavy caliber offering from 1898 to 1944. 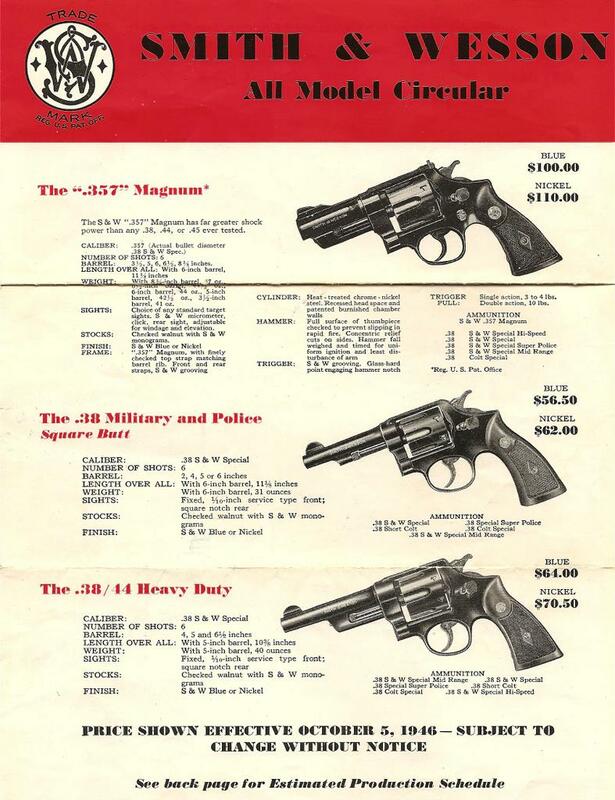 The Colt proved extremely popular with military and law enforcement again chambered in the hefty .455 caliber round. In contrast to the Colt New Service, which had originally been offered in .455 among other chamberings, the Smith & Wesson .455 Hand Ejector of the First Model was specifically manufactured to meet the needs of a military organization. In this case, the British. The 1st Model came with a 6.5" barrel, a blue finish, with a shrouded ejector rod. The 2nd Model had no shroud on the ejector rod and a lighter weight barrel. From what I've read, today these are prized by collectors. The 1st and 2nd Models were very popular with the British. In fact, the British purchase many during World War I and into World War II. 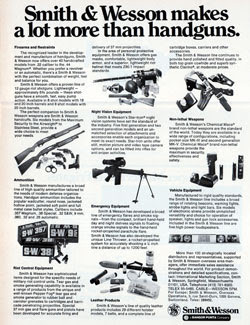 Of course, many different models in a variety of calibers and barrel lengths have come out over the years. Smith & Wesson dominated the double-action market for years. 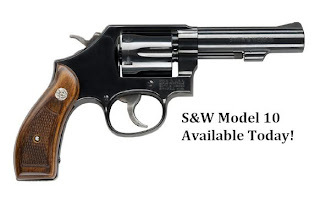 When talking about the history of Smith & Wesson, there are many many very note worthy Models. 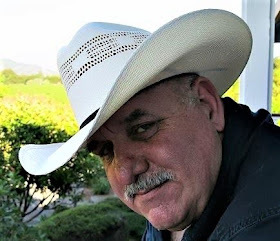 Among the most famous was the Model 1911 .22 caliber Target Pistol, the Model 1917 in .45ACP, the Model 19 .357 magnum California Highway Patrol model, the Model 13 in .357 magnum with a 3inch barrel, and of course the snub nosed Chief's Special. 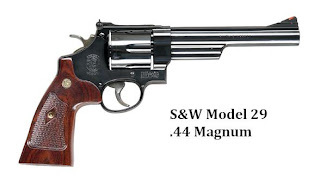 Of course, one of the most famous Smith & Wesson revolvers has to be the Model 29 revolver with the 6 inch barrel in .44 magnum. Yes, the "Dirty Harry" pistol. I bought a Model 29 .44 mag to take on a Bear Hunt as a backup piece to my .45-70 Government 1895 Marlin lever-action rifle. Well, the truth is that I never went on that hunt. But, I did keep that pistol. For me, it is too much gun to take out of the safe and go plinking tin cans with. It is something special among revolvers and I hope the friend that I gave it to as a birthday present appreciates it. I think it will serve him well for many years to come. In 1964, Smith & Wesson passed out of the hands and subsequent control of the Wesson family. 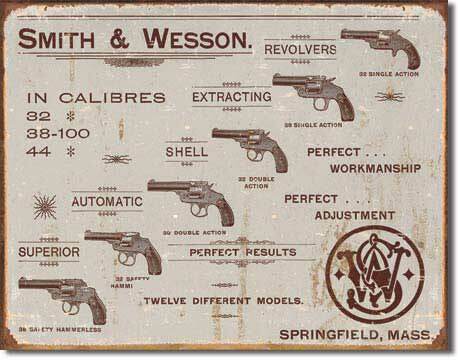 It was a time when several conglomerates took control of Smith & Wesson. Those British folks owned Smith&Wesson through some tough times for the gun industry. The anti-Gun groups became much stronger in those years, and of course the United States elected it's first openly anti-Gun President in the way of Bill Clinton. Just a little over a year into his first term, Bill Clinton went after the gun industry full force with threats of lawsuits and over-regulation. Then came the Brady Bill that banned many firearms just based on their looks. The passage of the Brady Bill cost Bill Clinton his Democrat Party in Congress. After two years in office, his policies at offended the American public to the point of their voting out his Democrat majority in Congress. In many ways, Bill Clinton made history by losing the Congress. The Democrats had ruled Congress through 40 years of Liberal control. Pro-Gun Conservatives took control of Congress, but that didn't stop the Clinton Administration from attacking an American's right to keep and bear arms under the 2nd Amendment of the Constitution. This time, instead of going after a citizen's right to own firearms, the Clinton Administration went after firearms and ammunitions manufacturers. As a direct result of threats and pressure, in March 2000, Smith & Wesson, which was owned by British company Tomkins PLC, was the only gun maker to sign an agreement with the Clinton Administration. It did this in order to avoid the huge costs involved in lengthy lawsuits. Smith & Wesson's problems only just started after they signed that agreement. It was a horrible time for a private company like Smith & Wesson. 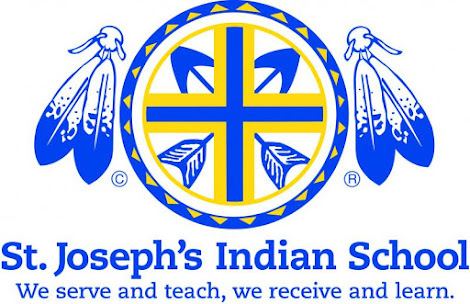 The Federal government decided to place all sort of unwarranted demands on that privately owned company. 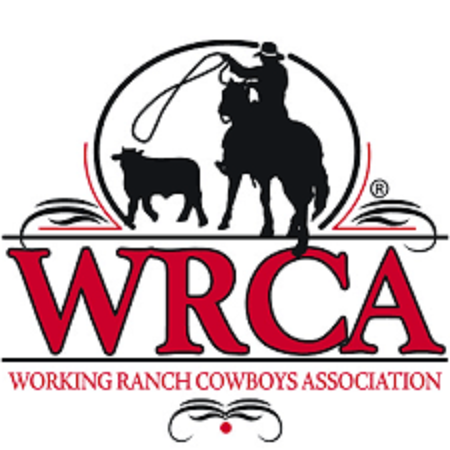 The demands came in the shape of numerous "unrealistic" safety and design standards, and with imposed limits on the company's ability to sell and distribute their products. Then came the public backlash! Many in the public saw Smith&Wesson as making a deal with the Devil. The agreement was not at all accepted by the gun owning public. Gun clubs and gun rights groups responded to this agreement by initiating large-scale boycotts of Smith&Wesson by refusing to buy their new products. What followed the boycotts was a flooding of used S&W firearms on the gun market, of all sorts of used S&W guns. And yes, it nearly ruined the company for good! After a 40% drop in sales, the sales impact from the boycotts led Smith & Wesson to suspend manufacturing at two plants and lay off over 800 employees. Believe it or not, the success of the boycott lead the Clinton Administration to order the Federal Trade Commission to conduct an anti-Trust investigations of all sorts of groups including the NRA and others. The investigations were initiated under the Clinton administration specifically targeting gun dealers and Gun Rights Groups, but it was subsequently dropped under President George W. Bush. 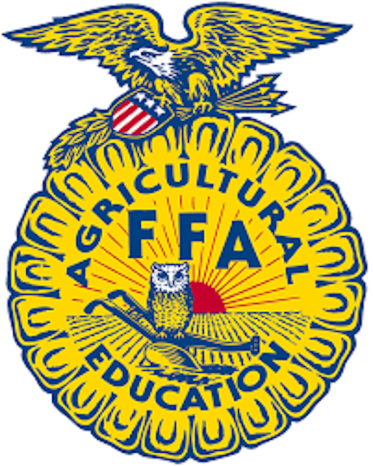 Their action was received positively by the firearms community, but the company was less than half of it's former self. On 11 May 2001, Saf-T-Hammer Corporation acquired Smith&Wesson Corp. from Tomkins PLC for $15 Million, just a fraction of the $112 Million originally paid for by Tomkins PLC. Yes, this returned Smith & Wesson's ownership to America. Saf-T-Hammer assumed $30 Million in debt, bringing the total purchase price to $45 Million. Saf-T-Hammer, a manufacturer of gun locks and other firearms safety products, purchased the company with the intention of incorporating its line of security products into all Smith&Wesson firearms in compliance with the 2000 agreement. The acquisition of Smith & Wesson was chiefly brokered by Saf-T-Hammer President Bob Scott, who had left Smith&Wesson in 1999 because of supposed disagreement with the policies at Tomkins PLC. After the purchase, Bob Scott became the President of Smith & Wesson to guide the 157-year-old company back to its former standing in the world as an American firearms maker. ﻿﻿On 15 February 2002, the name of the newly formed entity was changed to Smith & Wesson Holding Corporation. But of course, most folks will always know them as simply Smith & Wesson. ﻿Today they produce some of the finest pistols, both revolvers and semi-autos, as well as rifles and everything in between. 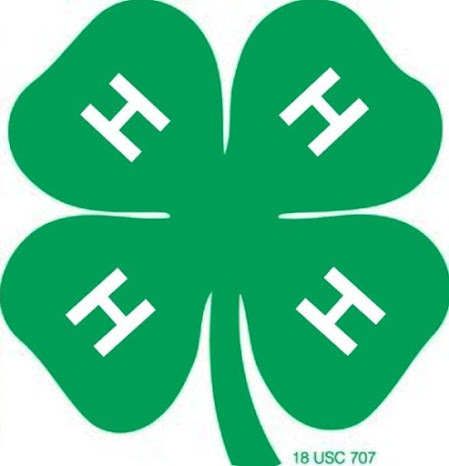 From handcuffs to pocket knives, boots, clothing, tactical and hunting gear, the S&W logo seems to be everywhere these days. 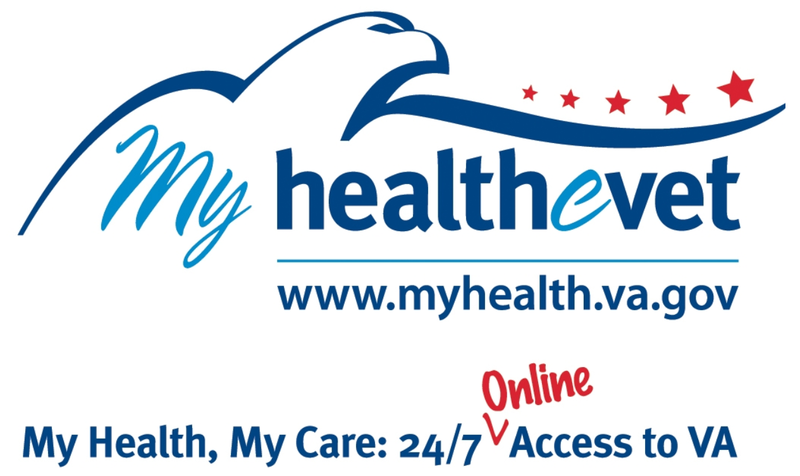 And yes, it is great to see! 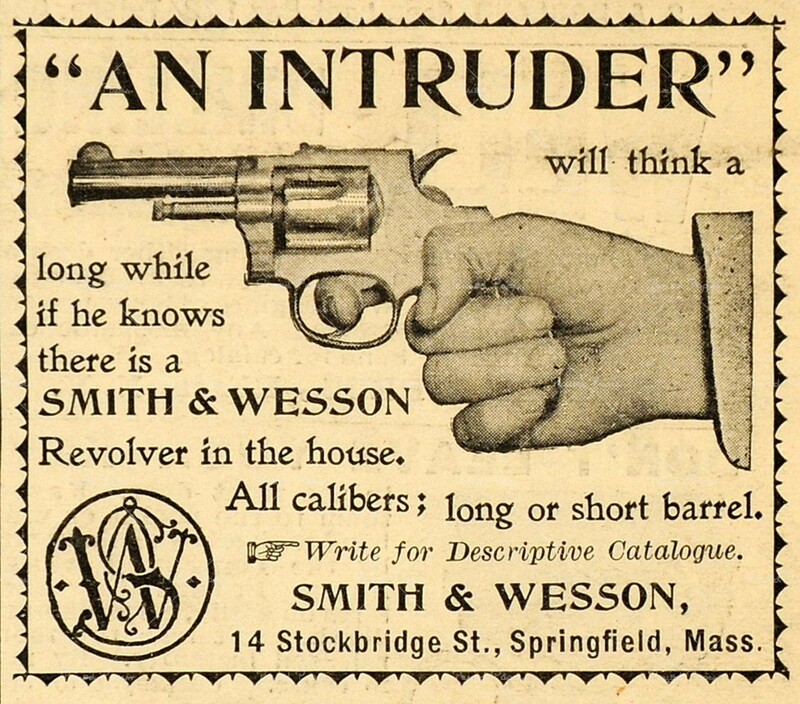 When talking to those of us who own one, most will likely just refer to their pistol as a "Smith!" And no different than it was a hundred and fifty years ago, a "Smith" is a great insurance policy against bad guys. Smith & Wesson has a long record of proving itself as one of the premier firearms manufacturers in the world. I'm glad they are a success story, they have had a tough road. Sometimes it was their stubbornness to adapt and change that lead them to lose valuable opportunities. A lot of companies out there can learn a great deal by seeing where and how Smith &Wesson righted itself to get back on the road to being a successful company. Next month, I hope to finish Part 3 where I go into Smith & Wesson's history of the semi-automatic pistol market. And yes, to answer one email that I've already recieved on this topic, I promise that I will try to research Smith & Wesson's tactical rifles as well.